Lifetime Fighter, Lifetime Survivor. Tanty’s Cancer Story. In 1992, at the age of 24, I was a LSU graduate student experiencing bloating, unexplained weight gain, constipation and extreme fatigue. After weeks of self treatment with no avail, I finally sought treatment at LSU’s campus clinic. My campus physician didn’t find any plausible reasons for my symptoms and sent me home to drink prune juice, with instructions to come back in two weeks if the issues hadn’t resolved. The problems did not correct themselves and with the encouragement of my mother, I went to see a gastroenterologist, instead of returning to the campus clinic. The gastroenterologist found an ovarian mass that was creating a blockage in my intestine via an ultrasound. He immediately sent me to my gynecologist who called Woman’s to explain that he had a college student with no insurance who needed surgery as soon as possible. Woman’s Hospital graciously took me in and treated me. As a result of my new diagnosis, I took the semester off for surgery, which was followed by three months of chemotherapy to treat my Stage 1B germ cell ovarian cancer. 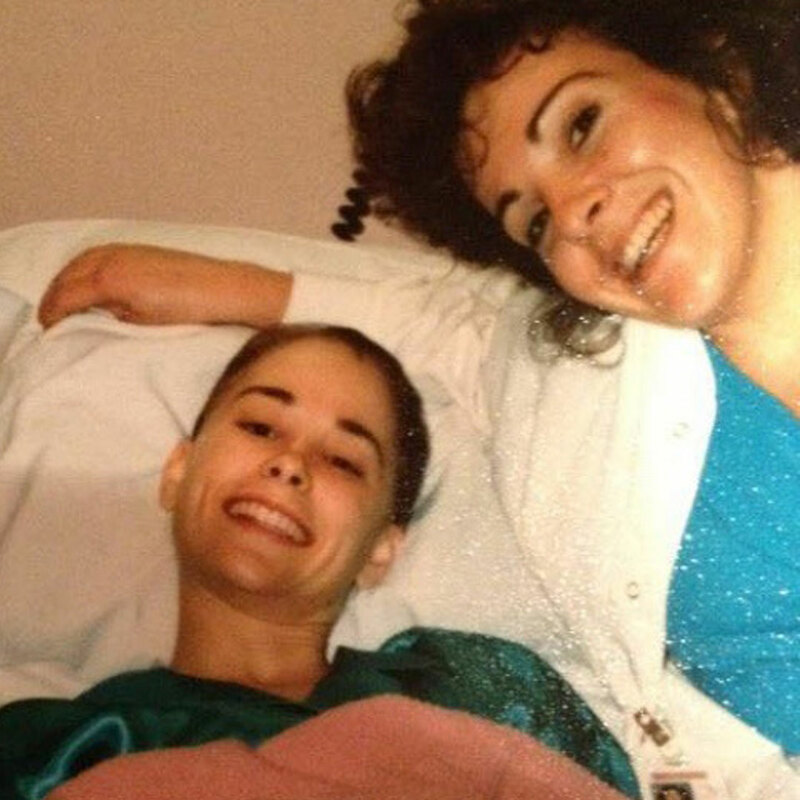 My life would forever be changed by cancer, as all cancer survivors discover. Over the years, I’ve volunteered to speak, support and visit many young women hospitalized and diagnosed with ovarian cancer at Woman’s Hospital through the connections I made as a part of the Gynecological Support Group headed by Robin Maggio, LCSW, OSW-C, ACHP-SW. I have been called to reach out and connect to younger patients, since ovarian cancer is rarer in pre-menopausal women, and I could give a different perspective because of my experiences. I try to help these young women understand their situation and instill within them an attitude to keep moving forward, despite the complications of cancer. I’ve been fortunate to celebrate many years of being cancer free. It was on my 26th year checkup, at the age of 50 that my gynecologist gave me the “all clear” and sent me downstairs for my normal, yearly diagnostic mammogram. I had just posted on social media “26 years cancer free!” to celebrate with my friends and family, as this was an annual post they all looked forward to! Unfortunately, the radiologist saw something that was not in previous years’ mammograms and they proceeded to look at it with an ultrasound. 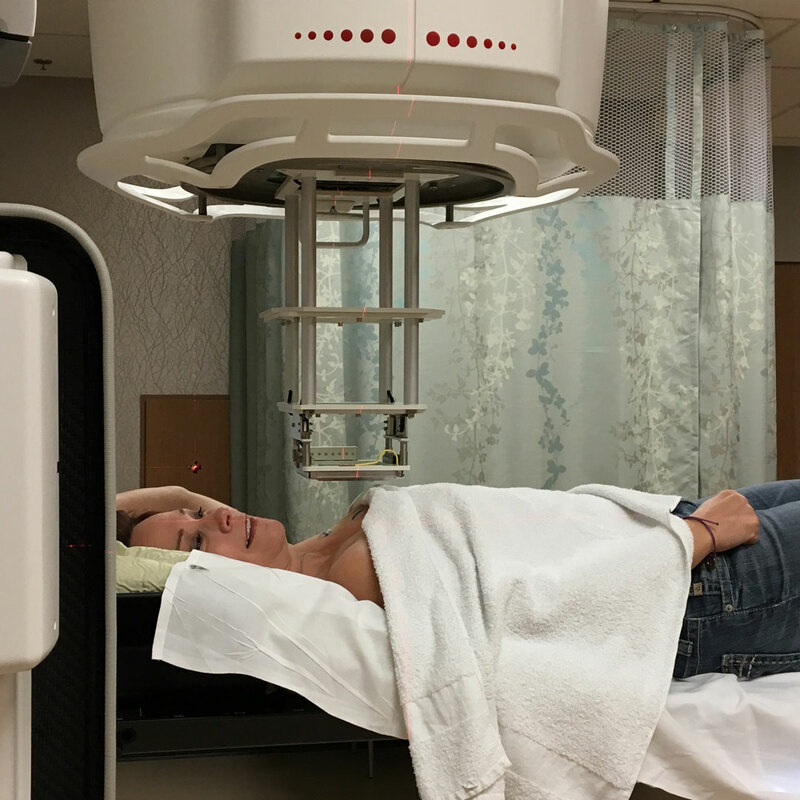 I was then scheduled for a biopsy a week later where it was determined that I had a new malignancy—this time in my breast. After confirmation that this was indeed a new cancer not related to my original ovarian cancer, I was scheduled for surgery, a lumpectomy and sentinel lymph node dissection, and prescribed with four weeks of radiation therapy and anti-hormonal treatment for five years. After breast surgery, I developed a seroma (pocket of fluid) near the armpit of the side where six of my lymph nodes were removed that the surgeon had to drain several times. Around week three of radiation, I noticed increased swelling in my arm, hand and underarm area. 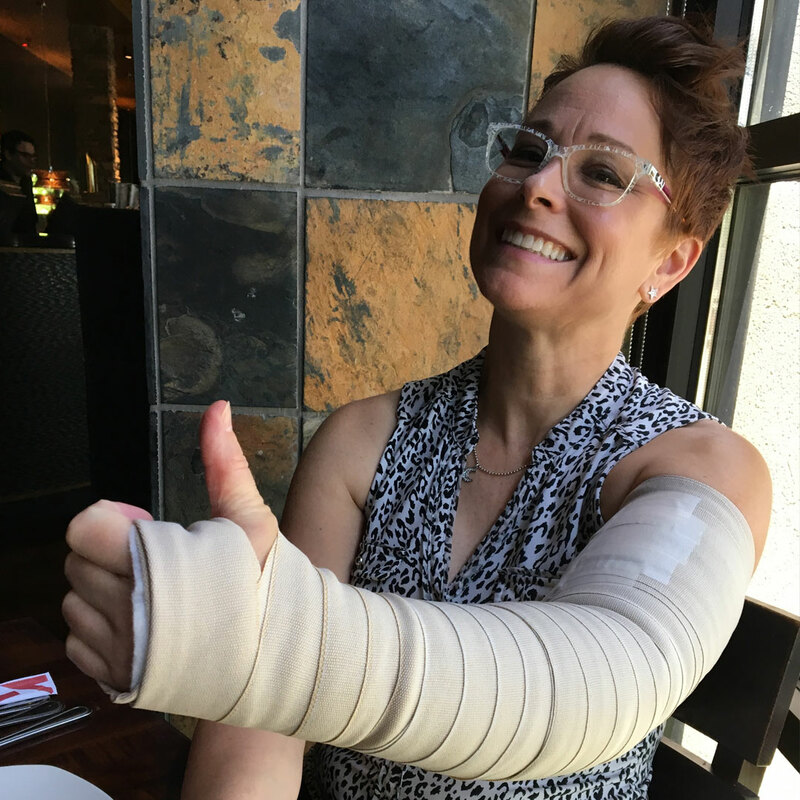 As the General Manager of high end steakhouse, I realized that it would be tough to function without full use of my arm and I sought help for this newly formed lymphedema. My radiation oncologist suggested cancer rehabilitation and lymphedema treatment at Woman’s Center for Wellness. I followed the advice and am proud to say that I recently completed 10 weeks of therapy! During that time, I was fitted for a lymphedema compression sleeve to help the circulation of lymph fluid of the swollen arm and hand, while doing therapy 2-4 days a week with an Occupational Therapist, who is certified in treating breast cancer patients with lymphedema. I was also prescribed a home pump to speed progress while I work full time and continue therapy. My range of motion has improved dramatically during therapy and my Occupational Therapist is helping me to overcome the fatigue that treatment has caused. My progress is remarkable and my swelling has been contained, thanks to the wonderful team at Woman’s Center for Wellness. I continue to work hard to get back to my busy life and look forward to celebrating another “year one” of being cancer free! I am so thankful to Woman’s Hospital for saving my life twice now!